I’m stepping through a portal on the heels of a young elf woman who looks roughly my own age, or at least as close as you get when you’re dealing with a race that thinks of our pitiful lifespan like we think of dog years. And it’s your normal, everyday magical portal—no big deal, right? But on the other side of the portal I face a woman racked with the lines and worries of a wasted life. I hear her despair at seeing my relatively young face. And yes, it’s her: The trip through the portal felt like seconds for me, but she’s been over here on the other side, trapped and wandering in the lovely ruin we’d come to study for more decades than I’ve even been alive. Elder Scrolls Online’s Summerset expansion ($40 on Humble) is at its finest in quests like these; these little moments that feel more like “weird tales” from the pens of pulp greats like Robert E. Howard or H.P. Lovecraft than the pages of contemporary doorstop fantasies. The compact scripts allow glimpses into the daily life of imaginary worlds that you just don’t get in the greater dramas about wrestling with gods and saving the world. Unlike say, Final Fantasy XIV, ESO keeps its cutscenes limited to flashy introductory sequences for new expansions, so most of the deep emotion in these quests gets catered out within the confines of the rigid animations of an MMO, but even so the tales manage to chill me through the mere contemplation of them. Squandering your birthright to...to act! The scandal of it all! 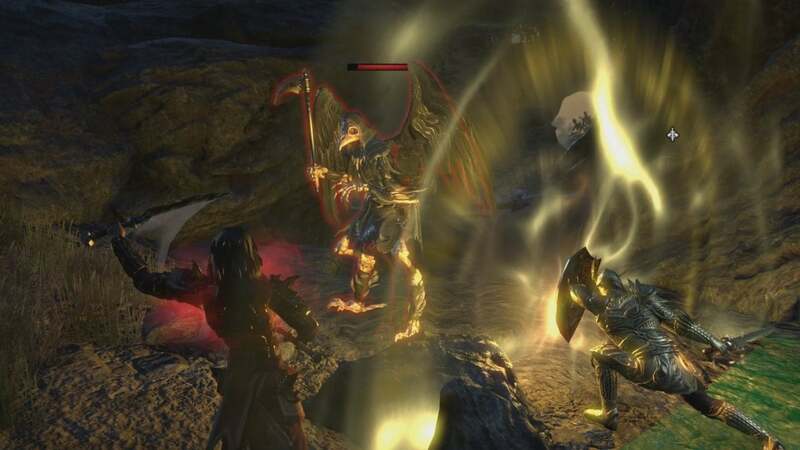 Stories are ESO’s thing, but it’s still remarkable how skillfully they’re woven into all the other activities we’ve we’ve come to expect from ZeniMax Online’s MMORPG. There’s gamepad-friendly fighting, yes. There are solo dungeons, randomly spawning “abyssal geysers” that bring bosses and loot, along with a focus on exploration involving treasure chests, skill-point shards, and hidden quests. There’s even a new crafting skill in the form of jewelry making, which is cool and adds another convenient means of completing multi-piece set bonuses. There are wonders and magic and elves aplenty, particularly as this latest chapter (read: “expansion”) whisks us off to the Summerset Isles, the ancestral homeland of the Elder Scrolls elves. Think The Lord of the Rings’ Lothlorien, but with elves with a grander sense of racial superiority and you’re on the right track. And in some ways, the inevitable Riverdell jokes are a potential problem: The comparisons to other properties come too easily. Last year’s fantastic Morrowind expansion rode in on a roaring dragon of nostalgia for 2002’s The Elder Scrolls III: Morrowind, but that nostalgia grew out of love for that fantasyscape and its breathtaking originality. Morrowind had predictable bits like elves and mages, but it kneaded all that in with a near-psychedelic sensitivity that peppered the landscape with mushroom forests and metroid-looking “cattle” that floated lazily on the shoulders of an angry volcano. And Summerset? It’s got elves, green forests, flowers, white-marbled ruins, and names like “Alinor” that are best said with longing sighs. It can’t draw on nostalgia like Morrowind. It certainly doesn’t have the weirdness. At first glance, it looks too predictable. Even in my preview, I worried that wouldn’t be enough. All the same, ZeniMax delivers some stunning settings within that elven framework. But beyond that, you’ll venture into the realms of the series’ other Daedric princes, including a purple-tinged hellscape carpeted with giant spiders, and a zone awash in a perpetual twilight that’s populated with chatty ravens and casually dressed women who attack you with broadswords. It’s all a sign that ZeniMax knows that tow-headed elves and manicured gardens don’t have the appeal of the grittier stuff, and so it counterbalanced that prettiness with the visions of extra-dimensional hells and short vacations into others folks’ minds. And most of the time, particularly in the main quests with its many twists and occasionally surprising turns, it works. The combat remains fun and fast-paced, with its emphasis on action over piles of different skills. But the strength of Summerset isn’t just in its scenery. It’s in how that scenery works in tandem with the storytelling to touch of contemporary issues in the real world to reveal the gunk that often lies festering under outward beauty. Immigration is a key theme, as the once-reclusive Summerset islands have been flung open to the outside world for the first time, and all manner of dark things happen when some high elves try to “sequester” newcomers to judge how “suitable” they are for Summerset life. The expansion touches on classicism and racism, most notably in the ways the high elves treat the wood elves that do much of their menial labor. Even at the simplest, I found myself touched by quests depicting children whose dreams go against the wishes (and legacies) of their parents. Sometimes these quests required me to make choices, and in true Elder Scrolls fashion, I rarely saw meaningful consequences for them. All the same, the stories are told so well that the choices felt like they had weight when the crucial moment came. “Rarely” is the key word here. 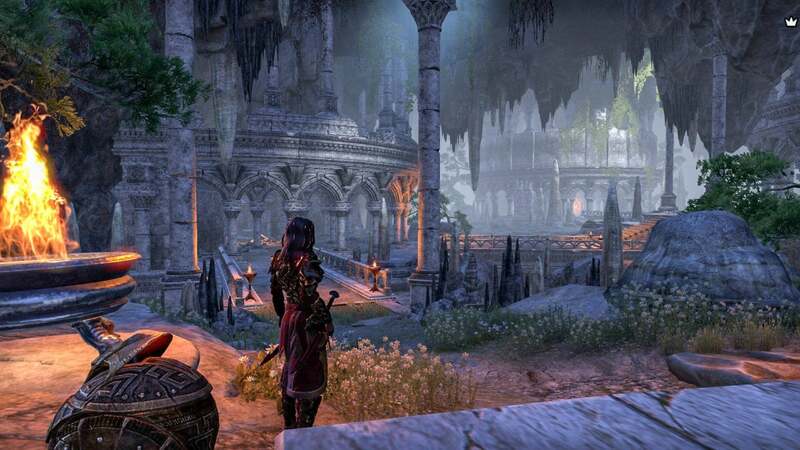 Summerset sees ZeniMax Online experimenting with more meaningful choices, as some choices made in the Morrowind expansion get direct mentions in some of the quests here. Friends return, and people you may have thought you redeemed last year turn out to still maintain a bad side. Yet your experience will differ slightly if you come in as a new player and start your adventure directly in Summerset from Level 1. The option to do that is one of the best things about The Elder Scrolls Online. There’s no need to slog through hours of quests in order to get where the bulk of the high-level players are, and you don’t have to worry too much about being underpowered since the outside world adjusts to your level. 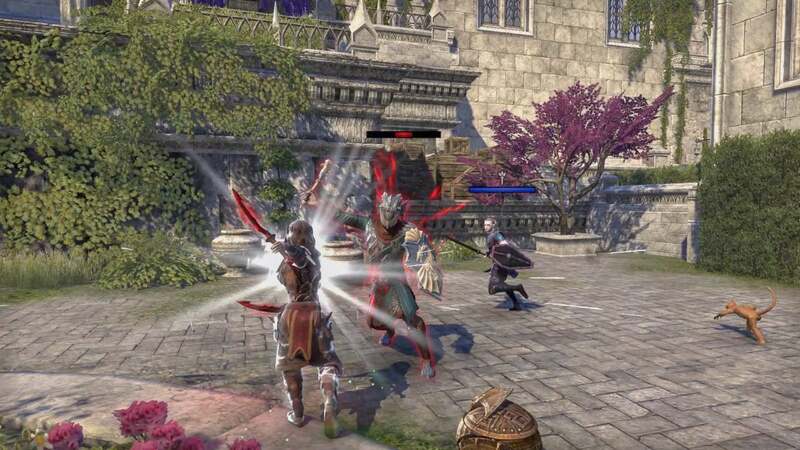 Much like Morrowind before it, Summerset even comes with its own starter experience that hints of the magey antics to come and allowing you to skip the rest of the game if you desire. In defiance of almost every other MMORPG, the emphasis here is on striking out in any direction and doing what you wish. As before, you’ll find soloable dungeons, world bosses, and dynamic events in the form of “abyssal geysers” that let you work with other players even if you don’t feel like grouping with them, and there’s a new 12-man trial—essentially a “raid” in World of Warcraft—that caters to players seeking a far more coordinated and challenging group experience. If you didn’t like the general gloominess of Morrowind. Summerset is a great shift. That’s the wonder of The Elder Scrolls Online. Few other MMORPGs have achieved such a good balance for players who want to play alone and players who want to play in groups. Sure, your immersion will shatter a bit when you see another player talking to the same NPC that’s bidding you to single-handedly save the world, but in my book that’s a small distraction. It’s an MMORPG. I what the stakes are. And if you’ve played The Elder Scrolls Online before, you know what the stakes are. It’s at once the most commendable and disappointing thing about this expansion. 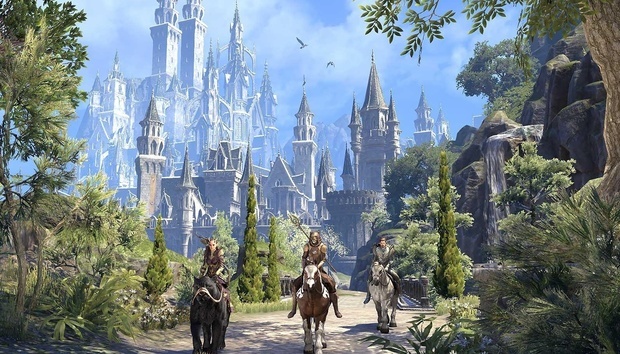 Not only does Summerset take a risk by spending much of its time in a fairly vanilla landscape, but out doesn’t deviate much any all from what we’ve come to expect from ESO. The new crafting and skill lines merely add variety. The delves, public dungeons, trial, and random events are all variations on content we’ve seen before. Unlike Morrowind, you won’t even find a new class to tinker with. But that’s fine. ZeniMax stuck with such a familiar design because it’s a design that works, especially after the rough start that ESO had back in 2014. It’s more of the same, but it’s more of the same of an MMORPG that’s uniquely friendly to players who just want to drop in and out of it even if they don’t want to pay the modest (and optional) subscription fee. When I say “more,” I mean much more. 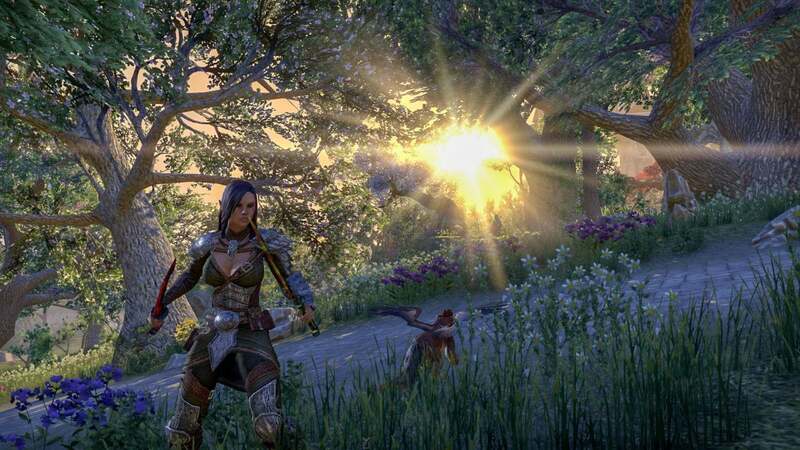 Summerset is so chock-full of side quests that they occasionally felt overwhelming when trying to sample them all within the couple of weeks between early access and the official launch. It’s great to have all these extra options for leveling, but you better like you some elves and the occasional hoity-toity lament about the lack of good wine. Sometimes the extra settings get downright creepy. Summerset, being set in a place that wasn’t a setting for one of the last three big single-player Elder Scrolls games, never feels as essential as Morrowind. But not that’s not the same as being a disappointment. Much as the Orsinium patch before it, it shows what ZeniMax Online can do when it’s forced to work outside the nostalgia for a game like The Elder Scrolls III. The Elder Scrolls Online will never feel like a proper Elder Scrolls game for many people who flock to it, but while we wait for whatever comes after Skyrim, it’s a damn fine way of passing the time.